The ideal venue to celebrate any occasion! 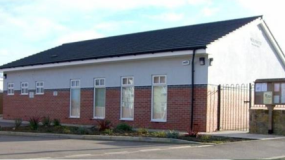 Woodsetts Village Hall, located in the picturesque and award winning village of Woodsetts near Worksop is the ideal venue to celebrate a birthday, anniversary or christening, run an educational/recreational course, promote your business or hold a meeting. The hall has a large room able to seat 60, the room can also be divided for two events to take place simultaneously. Hire of the hall includes the use of a fully equipped kitchen with dishwasher, oven, hob and fridge. There is also a patio area for those summer months. To enquire about prices and the availablilty of the hall please contact the booking secretary on 07934 430149.